Are you looking for the best-rated full body pillow to support your tummy and back during pregnancy? Or are you looking for a long pillow to offer spinal support to finally get rid of back pain? Or are you just craving that full body hug that only a body pillow can offer to help you fall asleep at night? We have spent countless hours on research to bring you the top rated hugging body pillows on the market and found great options for those who want to use it as a maternity pillow, for side sleepers, stomach sleepers and for everyone who wants to finally get rid of back pain. 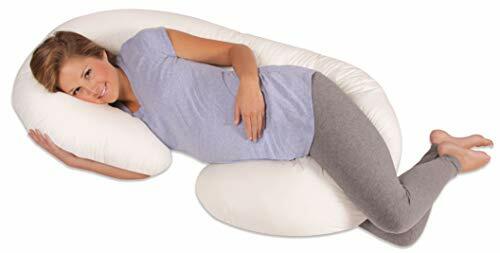 Our favorite pick is the Leachco Snoogle Total Pillow because of its overall great value, good support of neck, spine and tummy during pregnancy and it’s flexibility to adjust to your needs. Read on for our full roundup of the top-rated body pillows of the year. A full body pillow is just what the name suggests – a longer pillow that will support your full body instead of just your neck. Body Pillows come in different forms. Some are just longer versions of normal pillows while others have C-, U- or J-shapes that offer additional support to your back and spine. They also promote sleeping on the side which is the healthiest sleeping position and not only improves the quality of your sleep but also helps to reduce snoring. It also improves blood flow to your baby during pregnancy. Many people prefer body pillows because they can consolidate multiple pillows into one. Instead of having 3-4 pillows for their neck, back, legs and tummy they can rest comfortably on just one hugging pillow. There are a few clear advantages of body pillows over their normal siblings. Better full body support: First of all they provide better support for your spine and back. Especially firmer options can provide some back support that normal pillows can’t. By clinging your legs around the pillow you can also take some strain away from your hips. Muscle relaxation: Less strain on your body will also lead to more relaxed muscles which may improve the quality of your sleep and let you wake up rested and relaxed. Can reduce back pain: During pregnancy but also when suffering from back or neck problems like spinal stenosis or sciatica strain on your back will result in pain that will reduce the quality of your sleep and worst case even leave you sleepless all night. Improved back, neck and tummy support can help to reduce these issues. Before buying a new pillow you should consider a few things to make sure you get the right product for your individual needs. It is of utmost importance that you pick the correct pillow type for your sleeping position to prevent back or neck pain. Side sleepers can usually go for all types for body pillows, from C-, J and U-shaped versions to long and straight headrests. Back and stomach sleepers should opt for straight pillows that are more on the medium-firm side though. This helps to not put any unnecessary strain on your neck and back. Same is true if you are a mixed sleeper who changes their sleeping position often throughout the night. Generally speaking C,U,J-shaped pillows are better for those who suffer from back pain because these pillows offer some soft spinal support. If you are suffering from sciatica, fibromyalgia or are recovering from an injury, make sure you also get the best mattress for your sleeping style since back pain can also be caused by a mattress that is too soft or too firm for your preferred position. They also tend to retain a bit more heat since more of your body’s surface will be in direct contact with the fabric of the pillow. This can lead to an increased buildup in heat. To prevent you from getting too hot at night we recommend breathable covers made from bamboo or phase-change-materials over synthetic options. Lastly make sure the pillow has the right measurements for your height. There are various options available that should suit any budget. From cheaper versions that mostly use synthetic materials or are manufactured in china to more expensive options with organic materials, removable covers and longer warranty. Due to their size, body pillows tend to be a bit more expensive than their normal counterparts but you can find relatively cheap options on the market even if you can’t spend too much. 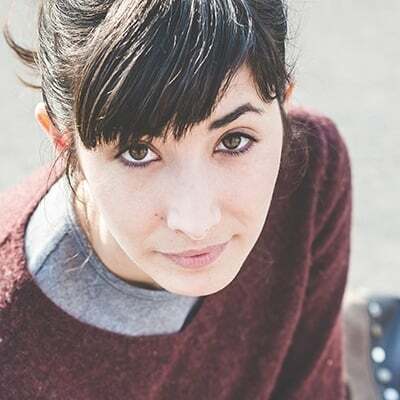 Ideally opt for breathable, organic materials that keep you cool at night. We recommend you going for products with lots of positive reviews. Try to identify people with similar needs and learn about their experiences with the product before buying it. So now let’s look at our 7 top body pillows for side sleepers, back sleepers, stomach sleepers and for during pregnancy. We really liked the Snoogle Body Pillow because it is just great value for money. It offers good back, neck, hip and tummy support which you will appreciate if you suffer from back pain or during maternity. The sham-style cover is made of cotton polyester blend (35% cotton, 65% polyester) for the basic “original” version but there are plenty removable covers available – from jersey to 100% cotton. The sheet that comes with the pillow is machine washable but a bit hard to adjust so we recommend that you also go for one of the optional covers. 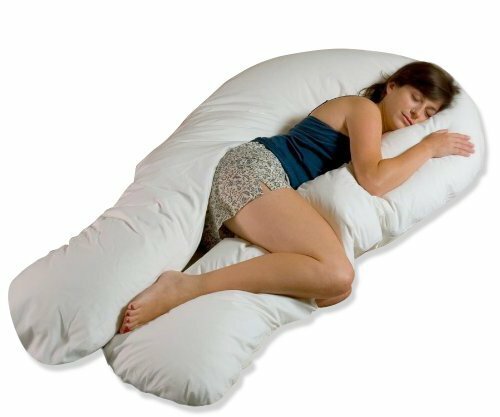 The “Original” Snoogle pillow comes in 6 different colors and should fit nicely into every bedroom. The filling is 100% polyester fiber. While the pillow is quite large (60 x 24.8 x 7.2 inches) it comfortably fits into a queen bed. At the reasonable price the Snoogle offers great value and already made countless customers happy. 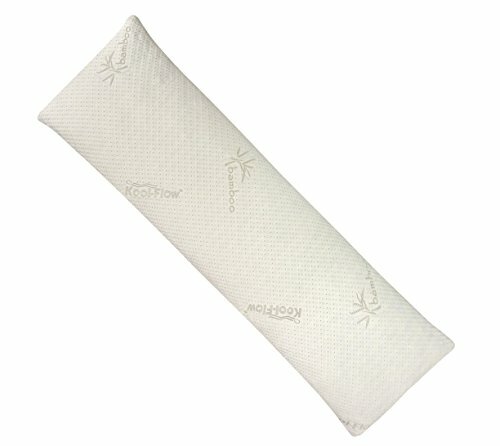 The bamboo pillow cover is breathable and helps to cool down your head during hot summer nights. The shredded memory foam filling does not only offer good support for your neck, it also supports a steady airflow to disperse heat and moisture. It also doesn’t contain any harmful chemicals and uses eco-friendly base materials. The Snuggle-Pedic is a straight, long (54 inches in length) body pillow which works well for all sleeping types and is especially interesting for back and stomach sleepers who should avoid the CUJ shapes. Since it is easy to adjust to your preferred sleeping position it also works well for mixed sleepers who like to move around a lot. It is made in the USA and is fully hypoallergenic & dust mite resistant which is great for everyone with allergies. Snuggle-Pedic offers a 90 day money back guarantee – so even if you shouldn’t like your pillow you can send it back – no questions asked. It is very soft and because of its shape and thickness especially interesting to stomach and back sleepers. The cover is not removable but since the whole pillow is machine washable we also don’t see a need to remove the cover anyway. After washing it we recommend to put the polyester fiber filled pillow in a dryer to fluff it up a bit. Overall this is a low maintenance body pillow that comes at a great price. The Comfort-U is the luxury version of a U-shaped body pillow that features synthetic down filling and a 100% organic pillow case that is breathable and should keep you cool at night. It is medium-firm, hypoallergenic, dust-mite resistant and we couldn’t find any reports of weird smells that you will find with many pillows for the first 1-3 days after unpacking. The pillow is fully machine washable which makes it very low maintenance. Each of the USA-made pillow’s legs measures at approx. 68” so even tall people should get more than enough support. 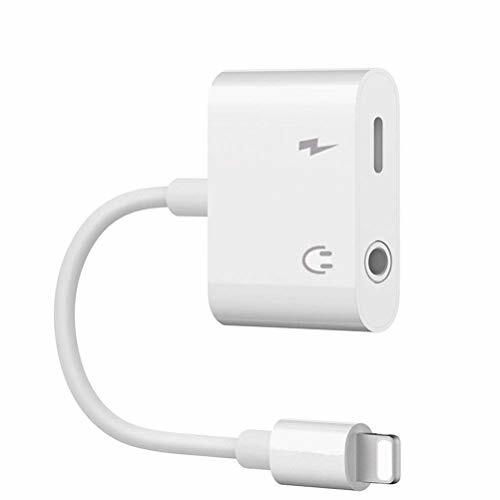 And while the price is definitively a bit more on the higher end, the combination of features make this a great option if you looking for great quality at a reasonable price. If you are looking for a C-shaped maternity pillow that comes with a 100% cotton cover you found your holy grail. 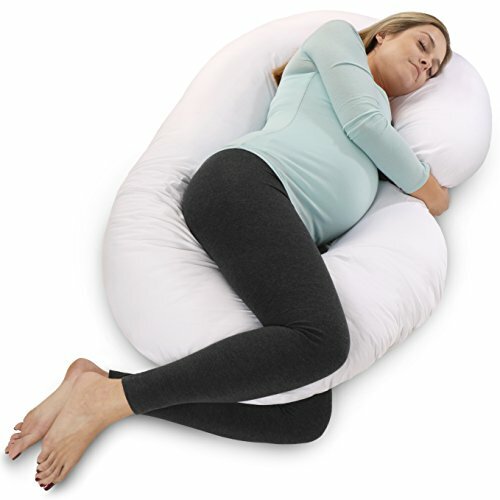 This medium-firm body pillow for pregnant women has a removable cover which is machine washable and easy to remove. The pillow itself is not machine washable though so we recommend spot cleaning with mild detergent. While the outer cover is made of cotton, the inner shell is 100% polyester and the pillow itself is filled with polyester hollow fiber. It provides good support for your neck, back and tummy and like all C-shaped body pillow it promotes sleeping on your side which increases blood flow to your baby. It is easily adjustable to your position and at it’s great price it also comes with a lifetime warranty. 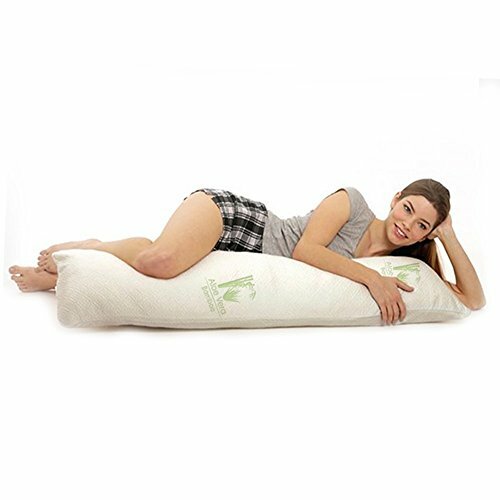 Another good option for those who are looking for a slightly cheaper option – the Pinzon Down Alternative Body Pillow is hypoallergenic, very fluffy and soft and because of its thickness great for side sleepers who want to save a bit of money. Because it is a bit thicker we don’t recommend it for back and stomach sleepers though. It sports a 100% Cotton, 230-thread-count zippered pillowcase and is filled with 100% Polyester which makes it machine washable. Overall it measures 20 x 54 inches which should also work for taller people. While it is manufactured in China, the factory abides to the OEKO-TEX Standard 100 to ensure that no harmful chemicals are used in the manufacturing process. The shredded memory foam does not only provide good contouring support for your neck, it also promotes airflow. In conjunction with the aloe vera and bamboo infused cover it should keep you cool and comfortable at night. The approx. 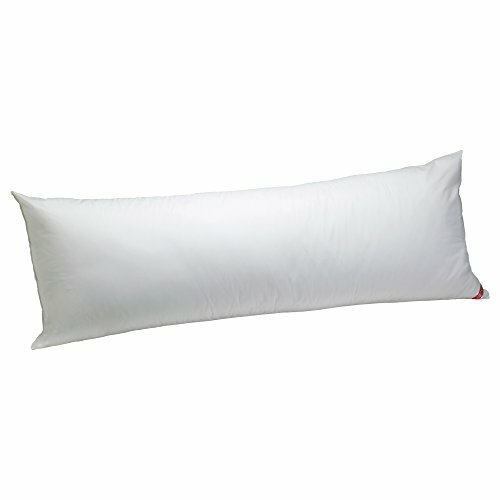 6” thick pillow is a china import which explains its budget-friendly price. If you are a back or stomach sleeper though you might be better off with the Snuggle-Pedic since it allows for a bit more flexibility for your sleeping position. We hope this roundup helped you in making a decision and we wish you a pleasant and restful night.